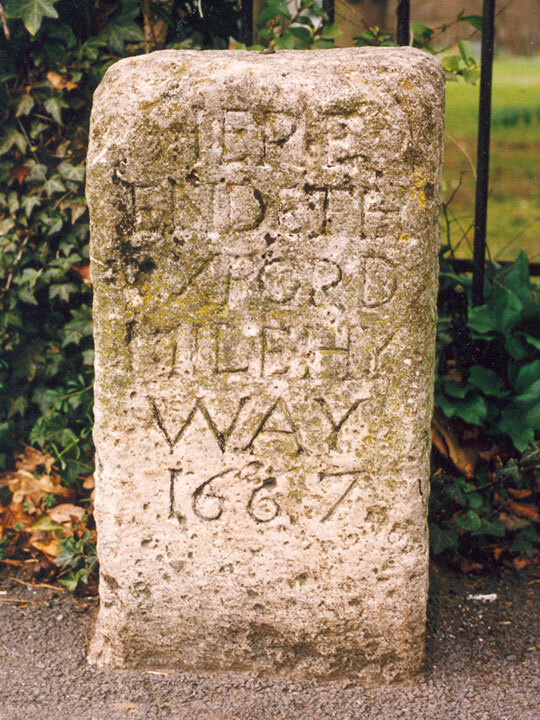 This mileway stone stands on the north side of Warneford Lane, roughly half-way between Cheney Lane and Gipsy Lane. This was part of the main route to London which ran up Cheney Lane and along the present Warneford Lane and Old Road. The present London Road was only cut through fields at the end of the eighteenth century. This stone was set up in 1667.